Hackers on Sunday released the first "jailbreak" for the iPhone 4, a browser-based exploit that allows users to run unauthorized code. However, some reported that the modification results in broken MMS and FaceTime functionality. 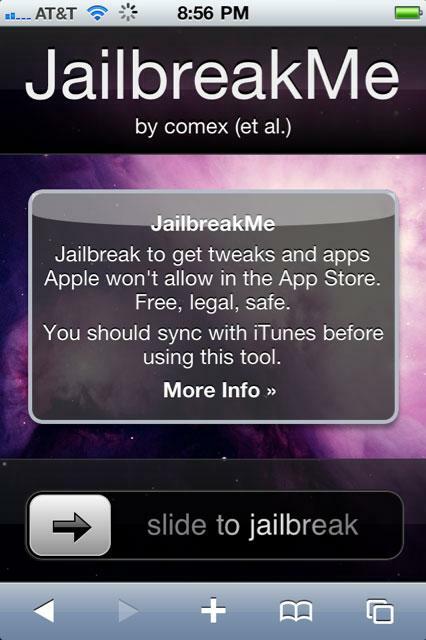 A hacker who uses the handle "comex," a member of the iPhone Dev Team, released the hack through a website, jailbreakme.com. Users can visit the site in their iPhone browser to begin the jailbreaking process. The software modification is the first release for Apple's latest handset hardware, the iPhone 4. Some users reported that the jailbreak managed to break FaceTime and MMS functionality on the device. Comex, via twitter, said that he was able to reproduce the issues, and is working on a fix. The latest jailbreak does not work with iPads running iOS 3.2.1. Unlike previous jailbreaks, which required users to run software on their Mac or PC and tether their iPhone to their computer, the latest hack is done entirely within the Safari browser. Users simply visit the URL to begin the process, which modifies the iOS mobile operating system found on the iPhone, iPod touch and iPad. The iPhone 4 jailbreak comes less than a week after the U.S. Library of Congress officially made it legal for users to jailbreak their iPhone to run unauthorized software. The government approved the measure as an exemption to a federal law which prevents the circumvention of technical measures that keep users from accessing and modifying copyrighted works. The warranty-voiding jailbreak process allows users to run software not approved by Apple, which has no plans to allow users to install third-party applications downloaded from outside its sanctioned App Store. Hackers have created their own custom applications —many free, and some for purchase from an alternative storefront known as Cydia. Jailbreaking can also be used to unlock a phone, allowing it to be used on carriers that do not have access to the iPhone.